The Friendly Atheist is a daily email I receive in my inbox. No, I haven’t crossed over to the dark side and I have no doubts who God is, but I do like to find out what the “other guys” are thinking about me and my beliefs. 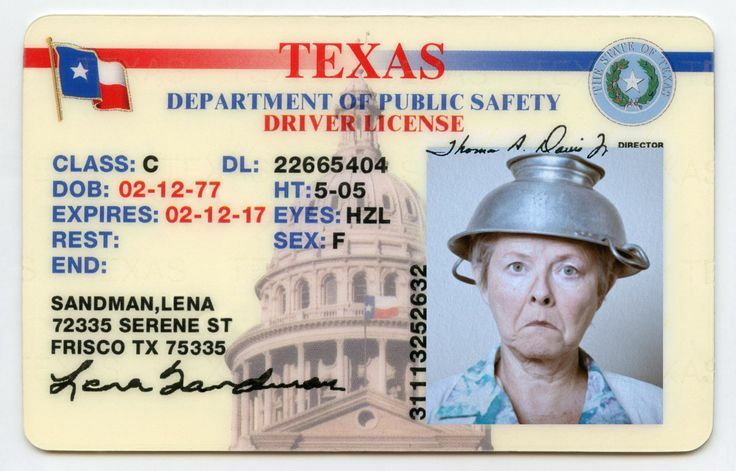 They thought it newsworthy to report that “Pastafarians” won the right from the Wisconsin Department of Transportation to wear colanders on their heads in their license photos. 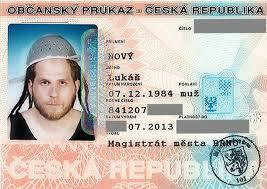 Michael Schumacher’s lawyer wrote a legal letter on behalf of his “Pastafarianism” that intimidated the Wisconsin DoT into letting him wear one, explaining that it was a religious head cover and that his civil rights were being violated. 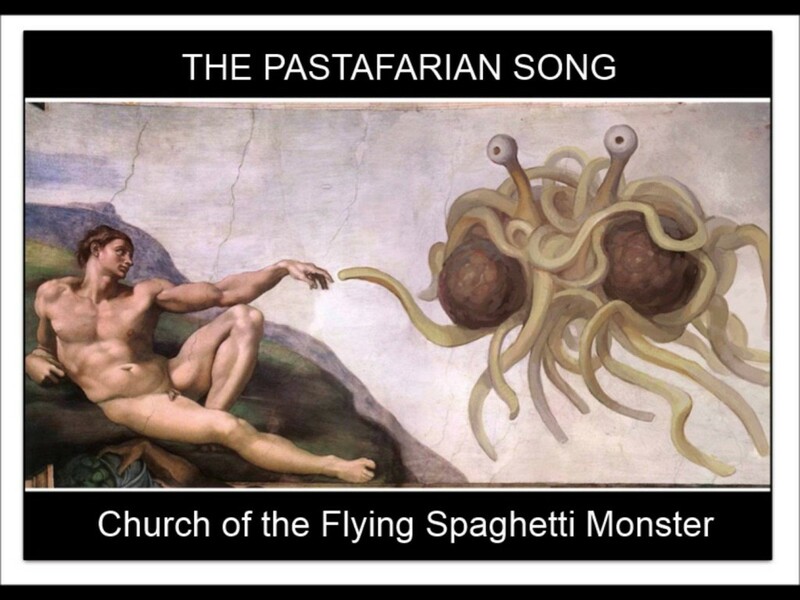 The Church of the Flying Spaghetti Monster, whose adherents are called “Pastafarians,” is a parody religion that was started as a social movement protesting the teaching of creationism and Intelligent Design in schools. Instead, they choose to believe that nothing created everything, given enough time and chance. No, they won’t admit to that, but it is essentially what they believe. The Christian, who believes that one God, in his loving kindness and wonderful creativity, created the world in six days, is considered the fool for believing an ancient old myth. Think about it: Can a painting exist without a painter? A building minus a builder? Is it too much of a stretch to say creation needs a Creator? What makes more sense to you? That we all crawled out of some primordial slime billions of years ago and were born without purpose out of sheer luck, or that a loving God made you in his image, with purpose, and was his crowning achievement? Pastafarians actually believe that the flying Spaghetti Monster created the first tree, the first mountain and the first midget and everything evolved from that. A silly theory to be sure but one that is supported by exactly as much evidence as the Christian creation myth. Atheists however do not subscribe to a creation myth, we subscribe to ideas supported by evidence, something Christianity does not have. I have never met an atheist who believes “nothing created everything” because I have never met an atheist who believes there was ever an ontological nothing. There was certainly a beginning to the universe but that does not mean there was ever a nothing. Energy can not be created or destroyed according to evidence so energy must by definition be eternal, as the universe has a beginning it can not be eternal so energy must exist outside the universe. Time is a property of the universe so energy must also exist outside of time. Every theory of how the universe could have came to be requires only energy to be possible. So if energy exists outside the universe, which it must then the universe could have come to exist. Some might ask where did this energy come from? The answer of course is that being eternal and outside time it need not come from anywhere as it always existed, Christians often say the same when asked where their God came from, the difference being we have evidence that energy exists but none whatsoever that Gods exist. Does that mean an Atheist sees energy as a God? No that is more like pantheism. Atheists, at least scientific minded ones only evaluate energy based on the evidence. Most importantly though atheism isn’t dependant on science, even if every scientific theory of the origin of the universe or the diversity of life were completely discredited, it would still not change the fact that there is no evidence of any kind supporting the existence of any Gods. As to your “creation requires a creator” argument, I completely agree that is true, a creation does require a creator, if you or any Christian ever provides evidence that the universe is a creation you would then have a very compelling case. However that has never been done, no evidence has ever been presented to show the universe is a creation, so the argument that ” creation requires a creator” is simple semantics and completely without value. I understand your point as you understand mine. Your energy—anonymous, non-personal, just floating around, and, for eternity, even—helps you to understand the universe. That energy has no discernible beginning and no end. I am curious how energy floating around (not that I say it was floating around, I have no idea what form energy would take outside a universe) without a discernable beginning or end is less believable than a God floating around with no discernable beginning or end. Both are described as eternal and outside time, niether are described as needing a beginning or end. The only difference in this regard is we have evidence that energy exists and must be eternal but we have no evidence of Gods. I am not saying a God could not exist, I am not even saying one doesn’t exist, I am only saying there is no evidence that any God exists, so it puzzles me greatly why some consider Gods to be the most reasonable explanation. Logically even if there is uncertainty of what is true the explanation best supported by evidence should be considered the most reasonable and plausible. Yet many people prefer Gods as an explanation and find evidence backed answers ridiculous. I would very much like to understand this but have failed to do so. I have heard many theories on the subject but they don’t fully explain it. Unlike many atheists who are former believers, I have never had the experience of believing in Gods so I have no idea what it is like. Many former believers explain it as indoctrination and cultural conditioning, some even say brainwashing all these explanations make sense and are fine as far as they go but don’t really satisfy me. I would really like to understand how it is possible to have faith in something for which there is no evidence but I have never been able to. I have actually read those posts from you before, and while I respect that you have faith and that is your position, to me it is pointless. While you say it is impossible to please God without faith and I agree completely your Bible does say that, there is no evidence that there is a God that I would need to please. There is also no evidence that what your Bible says about your God is true. As there is no evidence of a God then believing it on faith would make no more sense to me than choosing to believe in Pixies or goblins on faith. Contrary to your assertion I have not decided to not believe in your God, the reason I don’t believe in your God is that no evidence has been presented to show your God exists. I can certainly respect you having faith and if faith makes you happy I applaud it, but I can not simply decide to have faith in something for which there is no rational reason to believe. I understand, Ryk. Besides, unless God grants you repentance and the faith to believe, you can’t anyway. That’s the theological side of things from a Reformed soteriological perspective! I appreciate your viewpoints. Let’s take them on the road! I have heard that perspective before as well, it seems contradictory in some ways that a God who desires that none should perish would then choose not to reveal itself to everyone. It is however a non offensive position, it does not claim unbelievers are stupid or wicked only that the God has not yet revealed itself, so I have no complaints with it.